Jeff Koinange hosted flamboyant South Sudan tycoon Lawrence Lual Malong Yor Jnr on his show on Citizen TV which aired last Sunday. Malong bragged about wearing designer shoes worth $10,000 (Kes 1,000,000) and a Rolex watch worth $100,000 (Kes 10,000,000) during the interview. The 30-year-old tycoon also told Jeff that he was currently staying at the Presidential Suite of a top Nairobi hotel where he is paying $2,500 (Kes 250,000) per night. Malong is among other well connected South Sudanese who have been accused of plundering their country’s natural resources which include oil and timber. In his latest documentary -The Profiteers, John Allan Namu shows how South Sudanese elite benefit from corruption proceeds and stash their loot in Kenya and Uganda. “I got my wealth from my Lord Jesus Christ. 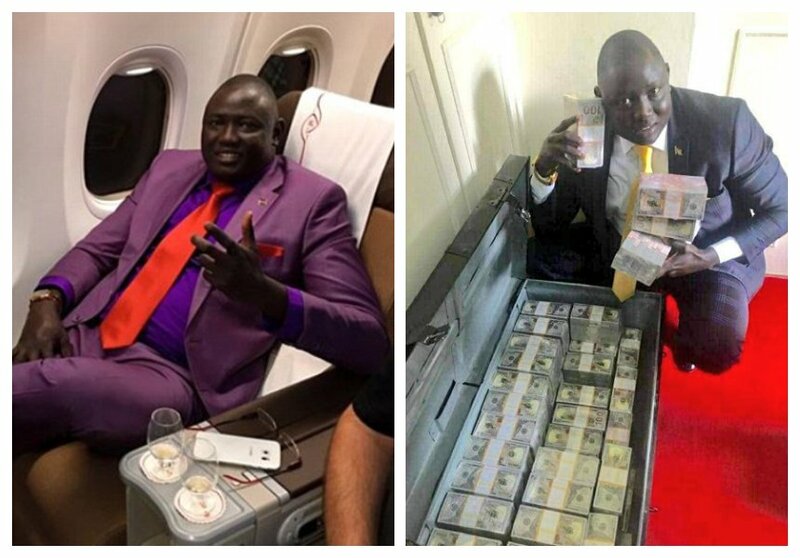 My Lord Jesus Christ blessed me; I fly on private jets… I live in Presidential suites… I am blessed,” said the 30-year old,” said Malong when Jeff asked him about his source of immense wealth. Rights Activist Boniface Mwangi has however castigated Jeff for hosting the billionaire thief instead of South Sudanese activists who decry the loot of public resources.